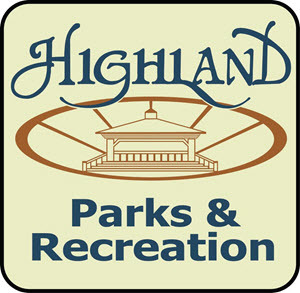 For information about any sponsorship program, please contact Dave Byers at dbyers@highland.in.gov or 219-838-0114. Leagues for grades K-8 held Nov. through June. Deadline: third Friday in Oct. Logo featured on back of one team’s uniform – Youth Basketball (grades K-5) or Middle School Basketball. About ten participants per team. Race held Thanksgiving morning. Deadline is first business day in November. Your logo featured on the backs of all 1,000+ runner & walker shirts for the annual six mile run / three mile walk. Level 1 sponsors are listed at the bottom of the shirts. Level 2 sponsors are featured 2” logos positioned above Level 1 sponsors. Level 3 sponsors are featured 2” logos at the top of the shirts as well as displayed on all race forms and course maps. Six performances at Main Square in early August. Deadline is fourth Friday in May. Your ad will be featured in the programs that will be sold throughout the production, attended by 300-500 people nightly. Pages are 8 ½” x 5 ½”. Contact HPRD for specific show dates and details. Groups and individuals are encouraged to help improve the community by donating benches, trees, or flower planters.